THROUGH CUSTOMER RELATIONS: Our Customer Relations department can help you with quoting and ordering assistance, troubleshooting, warranty, repair and remakes, and sample tools from 7am - 5pm (PST) by phone at 888.582.8780 or via email at hfcr@hartmannforbes.com. HOW DO I ORDER SAMPLE TOOLS? ONLINE: Our website is designed to provide you additional support in a digital format. We update frequently and it is an excellent resource to help you with your design projects. Register for access to: digital weave detail, download specifications and pricing, online sample library, memo ordering, support materials and more. 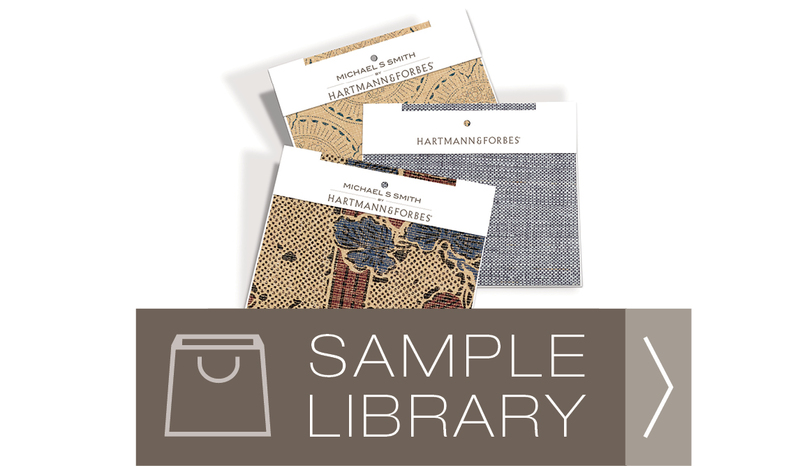 THROUGH CUSTOMER RELATIONS: Our Customer Relations department can help you order sample tools from 7am - 5pm (PST) by phone at 888.582.8780 or via email at hfcr@hartmannforbes.com. We weave natural fibers all over the world, in close proximity to where a fiber is grown, and in cultures where these age-old crafts are studied and respected. All our shades are then hand-finished in the Pacific Northwest to your custom requirements. Edges are meticulously finished, liner is carefully stitched and all products are thoroughly inspected before being delivered to your project. Fashioned by craftsmen, not machines, our windowcoverings and wallcoverings give your room designs warmth, elegance, refinement and a rich story of history and tradition. WHAT KIND OF WINDOWCOVERINGS DO YOU MAKE? 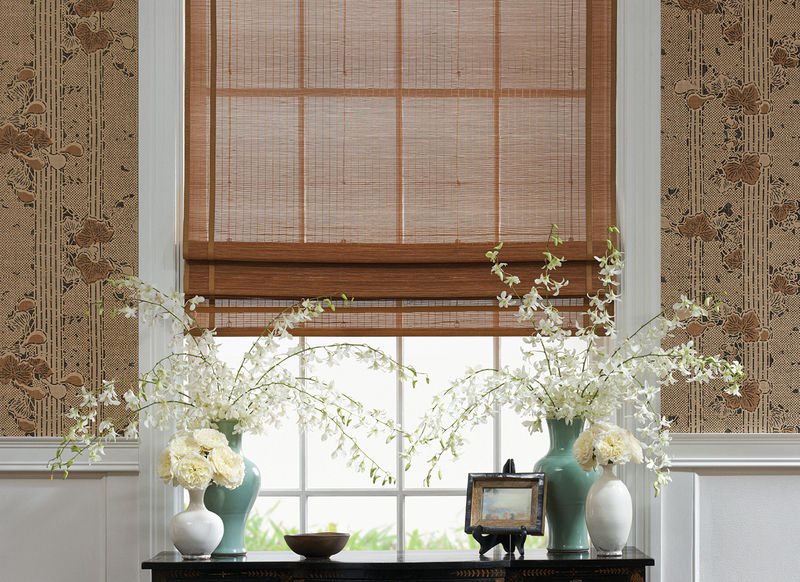 A large variety of Roman Shades, Rollershades, Draperies, Panelscreens, Top Treatments and specialty shapes. Begin by signing up for a no-charge trade account to receive access to our extensive online collection in our Product Portfolio. Our artisans and tailors bring decades of experience to our custom capabilities. They are available to handcraft everything from custom cornices to bedding and pillows. Learn more about this option by contacting Customer Relations at 888.582.8780 or via email at hfcr@hartmannforbes.com. WHAT DO YOU MEAN BY “NATURAL” WINDOWCOVERINGS? HANDCRAFTED NATURAL FIBERS: We are devoted to hand-craftsmanship using ancient techniques of preparation and weaving proven over generations. Fibers are soaked, split, stripped, sun dried, and spun – by hand – before our loom masters blend them together using a complex rhythm of warps and wefts. We perform this work by hand in order to ensure genuine quality and because doing so provides us the freedom to push the boundaries of design and materials. 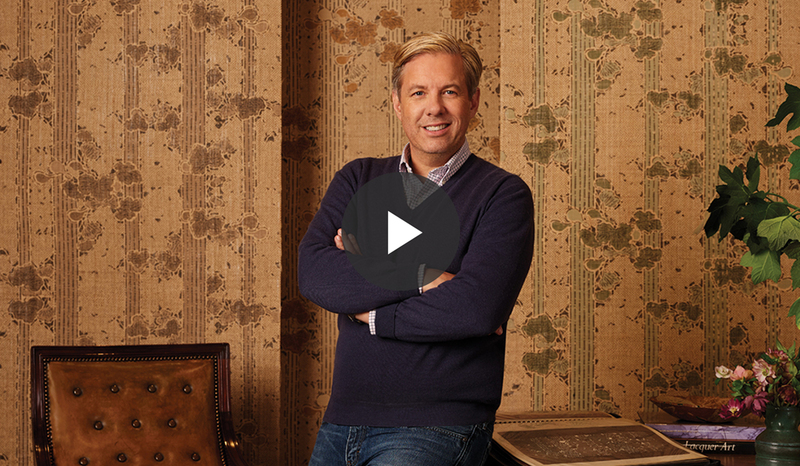 Learn more about Natural Fibers. 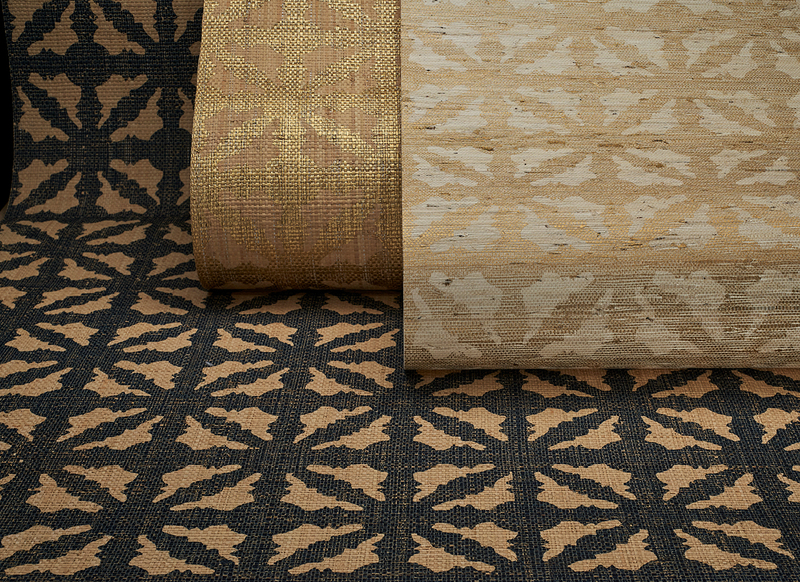 Woven-to-Size: Preserving the heritage and artistry of ancient handweaving, each design is custom woven-to-size, exclusively on traditional handlooms, up to 180 inches wide without seams. It is an arduous and meticulous weaving technique that takes time, but for those who can accommodate a longer lead time, it offers a uniquely refined appearance. Tailored-to-Size: Each design is precisely woven by hand into large rolls and shipped in bulk to our Pacific Northwest Finishing Facility. Local artisans then meticulously hand finish the edges and hand tailor shades to designer specifications. This process dramatically reduces lead time and the carbon footprint of its transport. HAND FINISHED: Every windowcovering is finished by hand in our Pacific Northwest Finishing Facility to meet a designer’s specification. We hand tie rings, hand stitch liners and hand fold pleats. Fashioned using premium components, our windowcoverings bring warmth, elegance and refinement to your design. HOW DO I LEARN MORE ABOUT AUTOMATION? To simplify the process of ordering and automating windowcoverings, our Automation Project Managers (APM) will work as your partner in the Automation process. They will help you design, specify and manage a solution for your projects. You can reach them at 888.582.6760 or email them at jeff@hartmannforbes.com. You can also visit our Automation page to get started at hartmannforbes.com/automation. WHAT IF IT’S TOO LATE IN A PROJECT TO HARDWIRE FOR AUTOMATED WINDOWCOVERINGS? It’s never too late to hardwire. Integrators are adept at getting wire where it’s needed. Low voltage cable is small, easily hidden and may not require a permit to run. Additionally, hardwired motors can be specified with cords that can be hidden behind drapery panels and plugged into standard outlets. And if power cannot be made available, our battery operated Motor-Clutch is an ideal solution. The cost will vary depending on the size and complexity of your project. Please contact an APM for a quote. Our automation specialists set and test shade limits and program remotes and keypads before they leave the finishing facility. If the windowcoverings are being integrated into a home automation or lighting control system, our specialists set and test limits and any integration is done by either the installer or integrator. Using the Automation Worksheet, we can help you identify who should program the shades. DOES IT TAKE LONGER TO DELIVER AUTOMATED WINDOWCOVERINGS? Yes. Lead times may extend depending on size and complexity of project and availability of parts. Contact our Customer Relations department for an estimated lead time. We encourage you to work with a Hartmann&Forbes APM from the start of a project to ensure your project runs smoothly in specifying automation. If a mistake is made, contact our Customer Relations department and we’ll help you work through it. How do I return or adjust a product? For warranty claims or modification of a product, please fill out the Return Goods Authorization (RGA) form and email it to our Customer Relations department at hfcr@hartmannforbes.com. Once you have filled out and submitted your form, Customer Relations will review and respond with instructions to complete your request. I WANT TO INTEGRATE INTO A HOME AUTOMATION SYSTEM, BUT I DON’T KNOW WHERE TO START. CAN YOU HELP? Absolutely. That’s what our APM’s are here for. Simply contact an APM and complete an Automation Worksheet. CAN ANYONE INSTALL AUTOMATED WINDOWCOVERINGS? Most professional installers can install our Motor-Clutch system while hardwired systems may require an electrician or integrator as well. In some cases, installation requires a certified technician. Your APM can help you plan for installation. HOW DO I CONTACT A SHOWROOM? Please visit our list of showrooms at hartmannforbes.com/showrooms. You can also call our Customer Relations department, at 888.582.8780, to be directed to a showroom closest to you . WHY SHOULD I SIGN UP FOR AN ONLINE ACCOUNT? Our website is designed to provide you additional support in digital format. We update frequently and it is an excellent resource to help you with your design projects. By registering for a no-charge designer account, you will gain access to our digital weave library, online specifications and pricing, online sample department, support materials and more. Sign up today at hartmannforbes.com/user/register. I'VE LOST MY PASSWORD AND/OR USERNAME, HOW DO I ACCESS MY ACCOUNT? If you forget your password, please click here to reset it. You will need to enter your username or email address associated with your account. An email will be sent to your email inbox for a link to complete this process. If you've forgotten your username, please contact our Customer Relations department via email at hfcr@hartmannforbes.com with your name, email address and company name to recover this information. Please contact our Customer Relations department at 503.692.9313, toll free at 888.582.8780 or via email at hfcr@hartmannforbes.com.